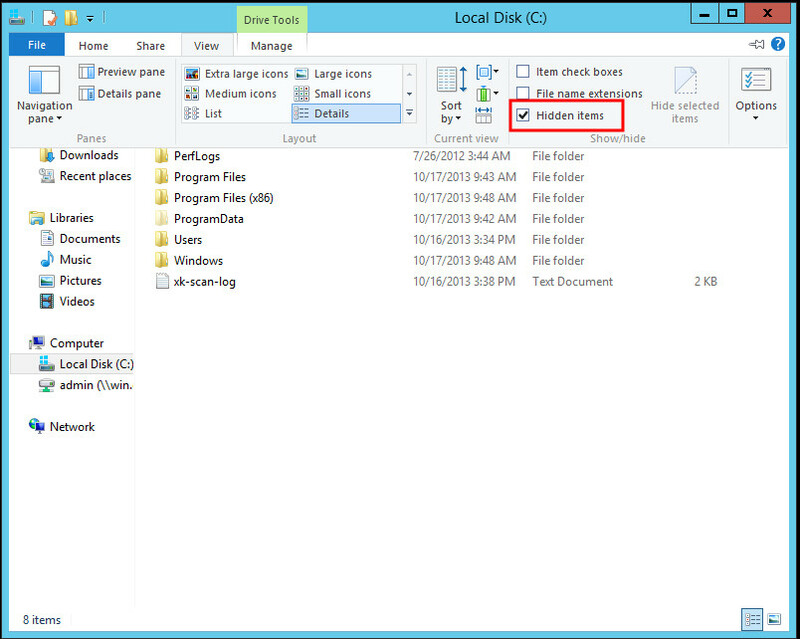 I helped a user set up a Windows 2012 server with Remote Desktop service enabled. The interface is similar to Windows 8, which is not appealing to most people. 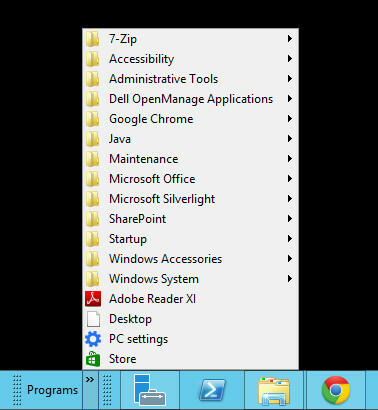 There are 3rd party programs to let you add the classic start menu to the taskbar. I later found out that you could actually add the classic start menu without any add-on programs. Here are the steps. Open File Explorer. Click on View and check Hidden items. 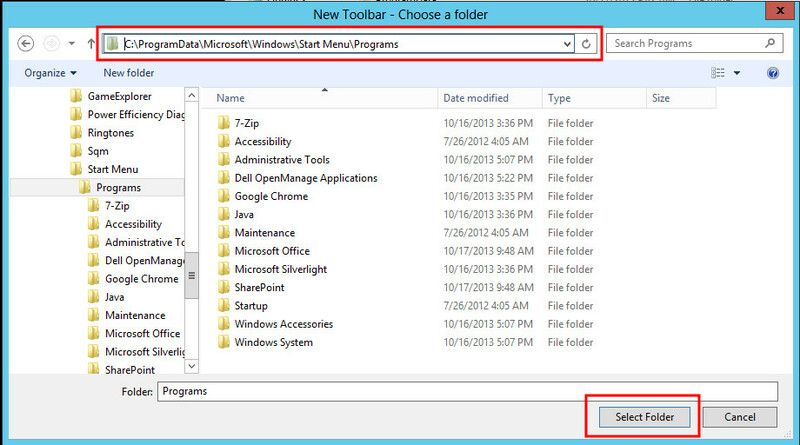 Browse to this directory: c:\ProgramData\Microsoft\Windows\Start Menu\Programs and click on Select Folder. The menu appears to the right side of the taskbar. You can drag it and rearrange its position. Here is a screenshot of the final look. When I first added this classic start menu to my desktop, I thought that the change was only temporary before Windows 2012 R2. I just upgraded the server to Windows 2012 R2. The start button is back, but the menu is still the metro style. I am quite disappointed about this, so I am keeping this classic start menu added to my desktop.